Family: Ginkgoaceae. 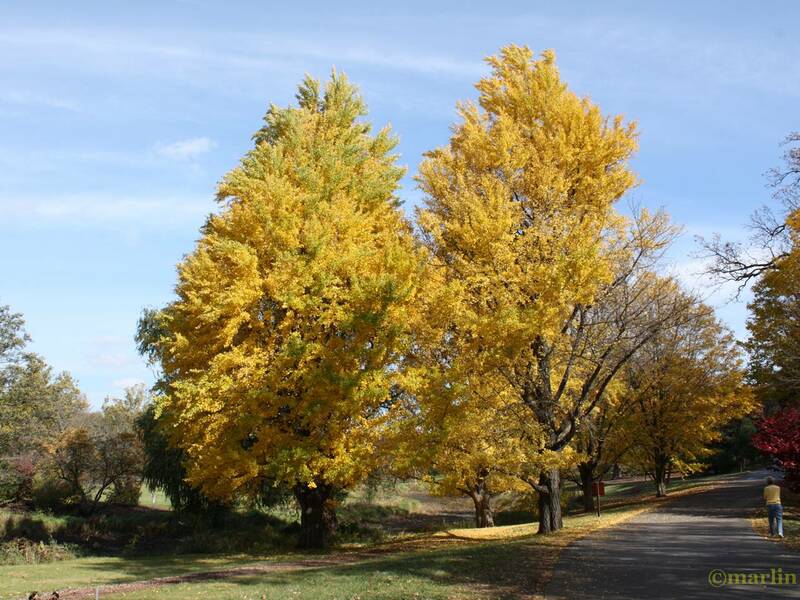 Common names include fossil tree, maidenhair tree, Japanese silver apricot, baiguo, bai guo ye, kew tree, yinhsing. This ancient tree lineage is ~150 million years old. Ginkgo is derived from the Japanese word ginkyo, meaning “silver apricot,” referring to the fruit, which is considered a delicacy in Japan. 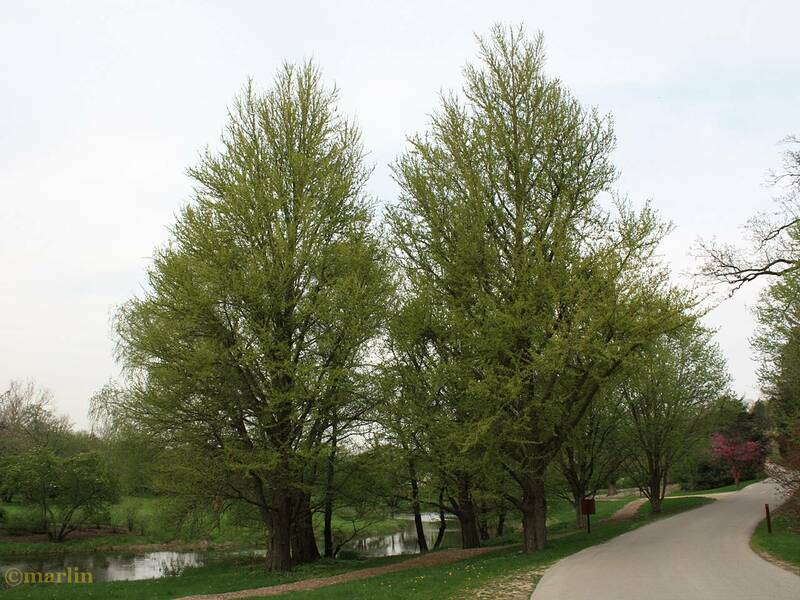 Biloba translates as “two-lobed”, referring to the split-in-the-middle character of its fan-shaped leaf blades. 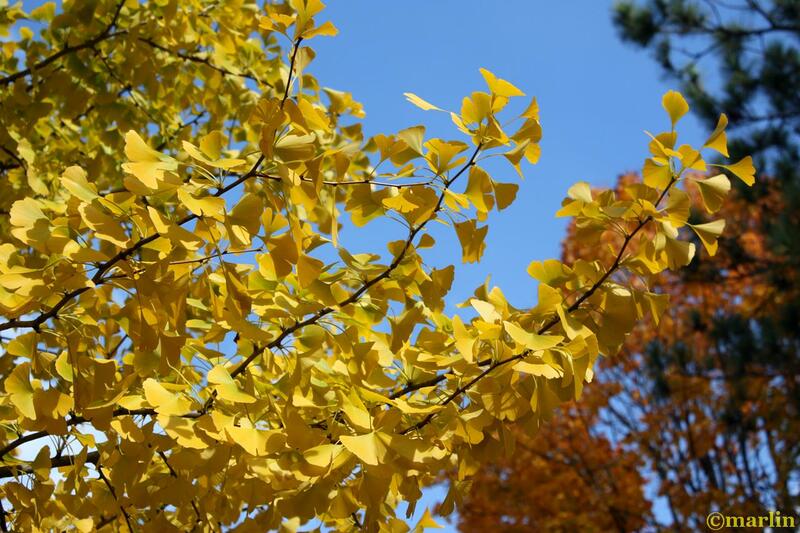 Once thought to be extinct, Ginkgo was rediscovered in China in the mid-1700s and is now dispersed throughout the world. 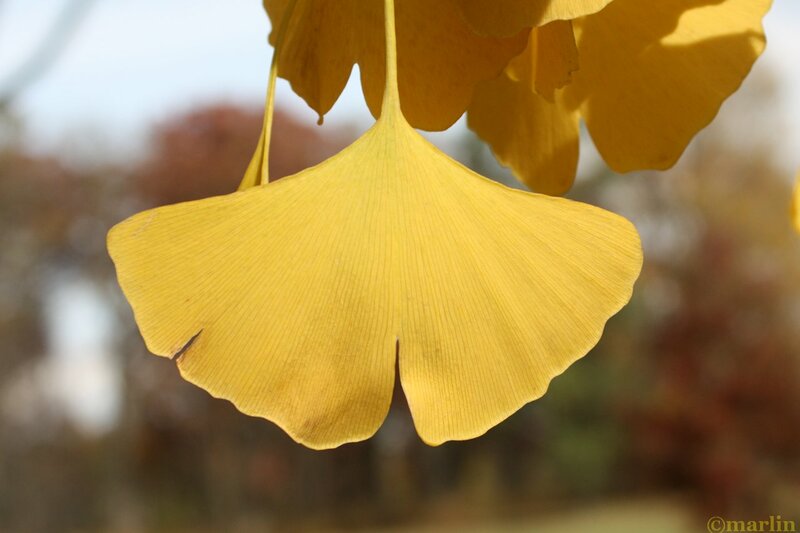 Ginkgo leaves are unique among seed plants, being fan-shaped with veins radiating out into the leaves blade, splitting into the familiar “river delta” form, but never forming a network as in other veined leaves. Two veins enter the leaf blade at the base and fork repeatedly in two; this is known as dichotomous venation. 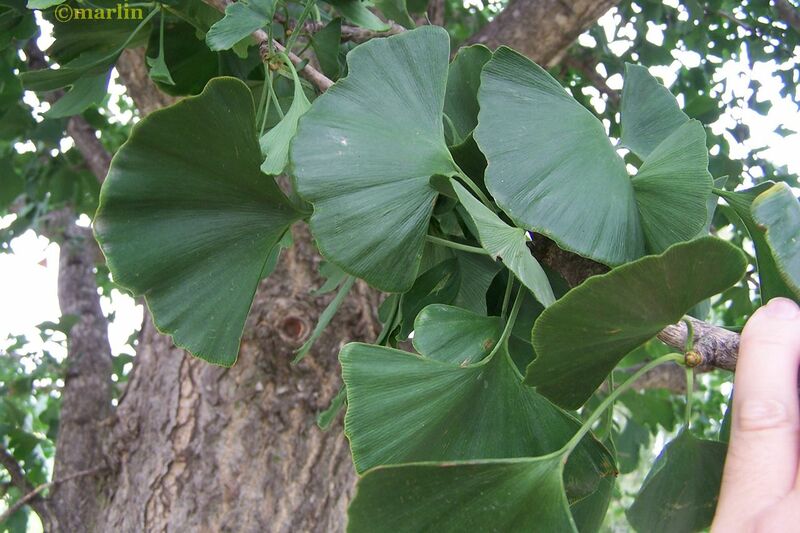 Out of the many conflicting research results, there seem to be basically three effects of Ginkgo extract on the human body: it improves blood flow (including microcirculation in small capillaries) to most tissues and organs; it protects against oxidative cell damage from free radicals (antioxidant); and it blocks many of the effects of PAF (platelet aggregation, blood clotting) that have been related to the development of a number of cardiovascular, renal, respiratory and CNS (Central Nervous System) disorders. Culinary use: The nut-like seeds are a traditional Chinese food. Called yín xìng (“silver almond”) or bái gu (“white fruit”), Ginkgo nuts are used in congee (rice porridge), and are often served at special occasions such as weddings and the Chinese New Year. The nuts are believed to have health benefits; some consider them an aphrodisiac. Japanese cooks add ginkgo seeds to dishes such as chawanmushi, and cooked seeds are often eaten along with other dishes. The seeds are available canned, sold as “White Nuts”, and can be found in many Asian food stores in the West. Tree Encyclopedia is dedicated to providing educational resources for our users through large macro photographs of flora and fauna in their natural habitat.